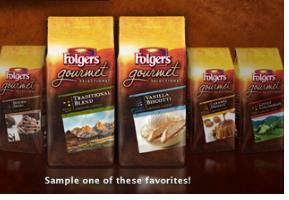 “Like” Folgers on Facebook to request your Folgers Coffee FREE Sample. Just complete the request form and click the “Send” button. Your Folgers Coffee FREE sample will be on it’s way. While you’re there, be sure to join more than 112,610 others and become a fan of Deal Seeking Mom. You’ll find more conversation, additional deals and a peek at the freebies I receive in the mail!